My name is Tanya Hill, and I have lived in Gillespie for 28 years. I married my high school sweetheart, Wesley, in 1996. We were blessed with two wonderful children who are no longer babies. Our daughter Kelcey is 20 and attends Clarion University online and our son Aaron will be 18 in May. Some of you may know me from the Caring Center (in Gillespie) where I helped pass out food to those who needed a little extra help during the month with groceries. I volunteered at the Christian Radio Station formerly known as WIBI. I was very active at Trinity Baptist Church here in town. I was also a Warm Neighbor Representative with Ameren for 9 years. 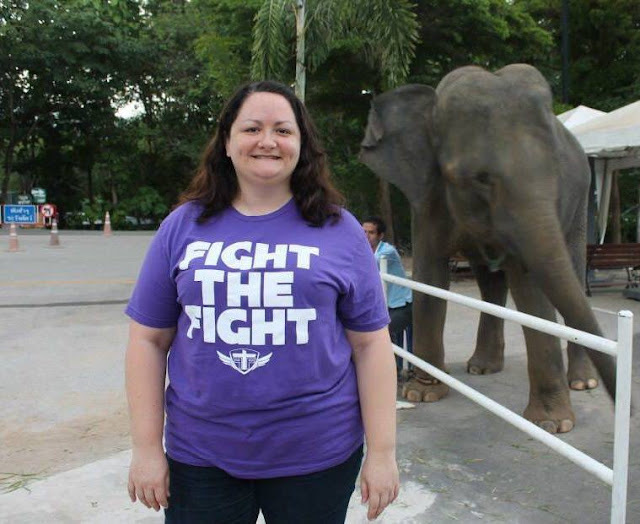 I have been on several mission trips here in Illinois, New Orleans, London, and Thailand. I also volunteer with homeless ministries. I am an Area Coordinator for Operation Christmas Child with Samaritan's Purse. I really love volunteering and sharing Jesus with others. Last summer I was planning on going to Africa on mission but started having issues with my foot and back. I went to a Chiropractor for almost 2 months but didn't feel he was making a difference. So I started going to a Wellness doctor, and I felt some improvement with my back and my foot. So I was gearing up to go to Africa. 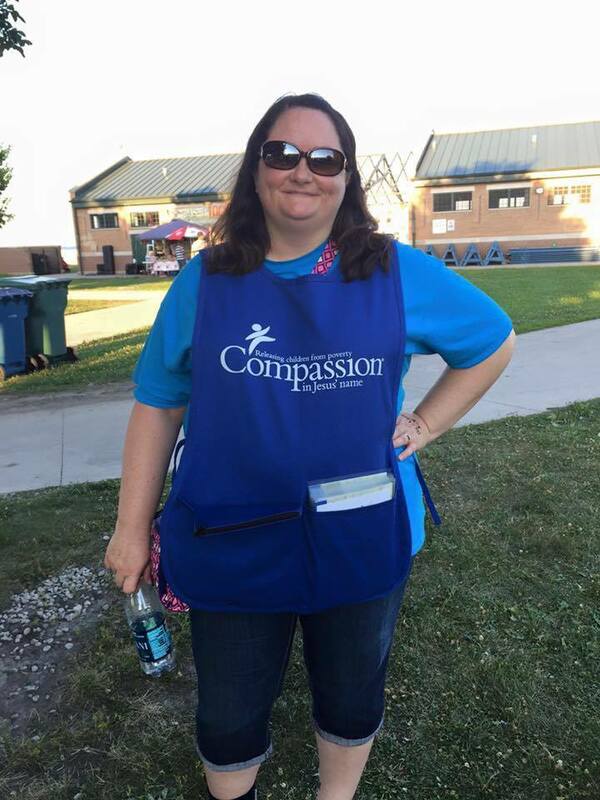 My husband and I went to Chicago to volunteer with Compassion International, and on our way home that night I ended up at a hospital in Joliet. I was having muscle spasms in my back and I was dehydrated. I had some other issues going on also. So I made a very difficult decision not to go to Africa. The following month my son and I were in a small finder binder which set me back. I went for an MRI and that's when I discovered I had a herniated disk and a bulging disk in two different areas in my back. I tried everything from Chiropractic, Physical Therapy, and Massage but nothing was helping. I even tried a steroid injection in my back. I ended up on bed rest for two weeks and couldn't walk. The pain was so severe I wasn't sleeping at night. I work part time at Macoupin Baptist Association in Carlinville, and I was missing work because I couldn't walk. The doctor recommended I go to the Laser Spine Institute in Missouri. I went for a consultation to see if I was a candidate for surgery and I was. I set the surgery date with anticipation of finally getting some relief. I was nervous about having surgery on my back but the nerve was pinched so badly that some days my right leg wouldn't work. I had to drag it behind me. My son was driving me three times a week to the wellness doctor and also to work. I had outpatient surgery on my back February 12, 2016. They assured me I would walk out after surgery and I did! It seems hard to believe, but surgery was done with a laser. I had a Laminotomy, Foraminotomy, Partial Facetectomy and Decompression of the Nerve Root. They also removed a bone spur. My nerve was enlarged and jammed under the facet and disk. So, basically they decompressed the nerve which was very inflamed! The cost of surgery was $22,000 and most was covered by insurance, but I was left with a substantial balance. As I write this, I am currently in recovery from surgery. The pain I had in my legs which included numbness, pins, needles, tingling, and burning, but the burning sensation eased up. I have faith that the Lord will completely heal me! It takes 12 weeks to fully recover so I have a ways to go. The Lord will see me through this. The past 9 months have been a long journey for my and my family. I am looking forward to a complete recovery so I can do the things I love to do! Thank you for taking the time to read my story. More than 50% of the proceeds from all Fight the Fight purchases made from May 1st, 2016 to May 15th, 2016 will be donated to Tanya to help cover medical costs.